Termite Inspection: A pest control expert will assess the quality of the timber with which the building is made and diagnose any termite activity in and around the property. This may include live infestation, potential signs of termites or a history of infestation. Building Pest Inspection: It involves inspecting the entire building, including the roof void, interior and exterior walls, sub-floors, etc. Property Pre-Sale: To increase the value of a property when it goes up for sale, a property pre-sale inspection is most important to thoroughly assess the building for insects. Property Pre-Purchase: Before purchasing a property, pest inspection Melbourne should be done by the buyers to ensure that the building is preferably pest-free and safe. What Types Of Pest Infestation Do We Look For During Building Inspection? What Areas Do We Inspect? 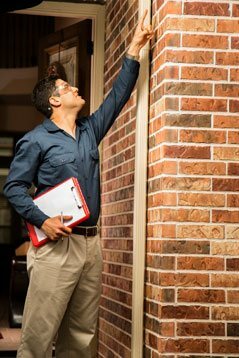 A report of pest inspection Melbourne is of great importance as it helps to determine the quality of the property and increase its value. Therefore, getting a pre-sale or pre-purchase building inspection report is most crucial. The building inspection report highlights the potential areas of danger or pest infestation, places where infestations were diagnosed, quality of the property in terms of pests and other risks, and recommendations on pest removal and prevention. The report also includes information about the kind of inspection carried out and the instruments used. So, if you are planning to buy or sell a property or worried about termite infestation, please call Protech Pest Control on 1300 486 149 today and talk to our experts.